With only one free day when I attended last year’s Sagrantino event, I decided to ask Chiara Lungarotti to show me Cantina Lungarotti’s new winery in Montefalco. What better way to learn more about Umbria and its wines. Even though it was a Saturday she said yes. Chiara and I talked about wine in general, Umbrian wine in particular, and her wines as we tasted them. I am always impressed with her wine knowledge so I invited her to come to NYC to do a presentation for the Wine Media Guild on the wines of Umbria. Chiara is very passionate about all things Umbrian and works very hard to promote her region and its wines. I was very happy when she accepted my invitation. 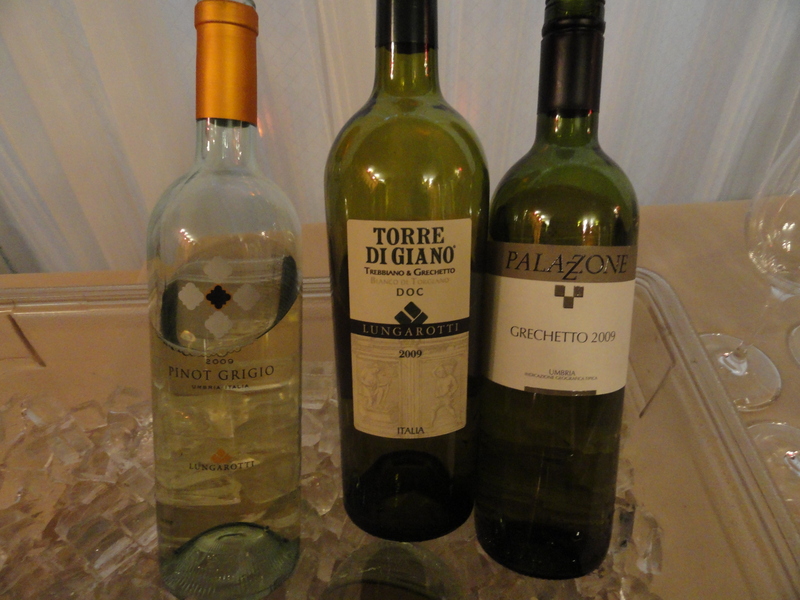 Chiara planned the tasting to include at least one wine from each of the wine producing regions of Umbria. She said the two most important red grapes in Umbria are Sangiovese and Sagrantino and the most important white grape is Grechetto. All but three of the 20 wines we tasted were made with at least one of these grapes. Chardonnay, Cabernet and Merlot are also grown here. Grechetto di Todi Colli Martani “Montorsolo” DOC 2009 100% Grechetto di Todi Cantina Peppucci the vines are on the hills of Montorsolo which are rich in limestone and clay. The harvest takes place in the middle of September. The wine is clarified by the “debourbage” and fermented in stainless steel tanks with periodic “batonnages” then bottled and released. At $12 it is a very good buy. Chiara explained that traditionally Orvieto was amabile, slightly sweet, and it was only in the last 50 years that it has become a dry wine. Today she said very few producers make an amabile. There are many tunnels and caves under Orvieto built into the volcanic rock. Many of the wine merchants in Orvieto have their cellars in these caves right in the town. When the Duomo was being built, construction began in November 1290; the workers’ contract stated that they would be given this wine every day. Rubesco Rosso di Torgiano DOC 2007 Lungarotti 70% Sangiovese and 30% Canaiolo. The soil is clay and sand of medium depth with limestone sub soil. There are 4,000 vines per hectare and the harvest takes place in September/October. Fermentation takes place in stainless steel tanks with 18 days maceration on the skins. It is aged for 12 months in oak casks; lightly filtered before bottling. This is an easy drinking wine with red fruit aromas and flavors and hints of black cherry with a very pleasant finish and aftertaste, a bargain at $15. Recently Italian producers from outside Umbria have been coming to Montefalco and building wineries. Chiara also wanted to expand but wanted to stay within Umbria where she feels at home. A few years ago they brought land in Torrota di Montefalco and opened up a winery there. It is only 45 minutes away from the main winery in Torgiano. A few producers also make a Montefalco Rosso Riserva. Chiara felt that this was a mistake. She felt that there was not much difference between the regular and the riserva (the riserva is aged longer) and that it would confuse the consumer. Montefalco Rosso DOC 2008 Lungarotti Blends of 70% Sangiovese, 20% Merlot and 10% Sagrantino. 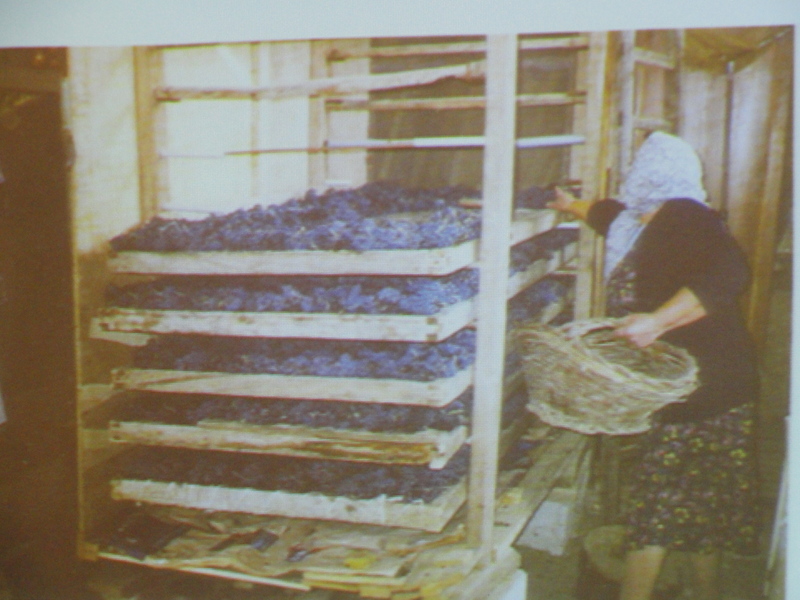 Soil is a combination of clay and sand, with 4500 vines per hectare. Chiara said that in 1970 there were only 5 hectares of Sagrantino in Montefalco! The name Sagrantino comes from the Latin sacer, a holy wine used doing Christian festivals. The Passito is a sweet dessert wine and is the traditional version of Sagrantino di Montefalco. Alter Ego Umbria Rosso IGT 2006100% Sagrantino Cantina Peppucci Even though this wine is 100% Sagrantino the vineyards are outside the classified zone and therefore it is IGT and not DOCG. This is the reason for its name. $23. This is a good buy. Sagrantino di Montefalco DOCG 2005 Tenuta Alzatura 100% Sagrantino. The wine is fermented for 26 days in temperature-controlled stainless steel tanks with frequent pumping over. It is aged for 16 month in French oak barriques and eight months in bottle before release. It has concentrated black fruit aromas and flavors with hints of leather and coffee. The estate is owned by the Cecchi family of Tuscan fame. It’s important for consumers to realize that Italian wine is more than just Tuscany and Piedmont. 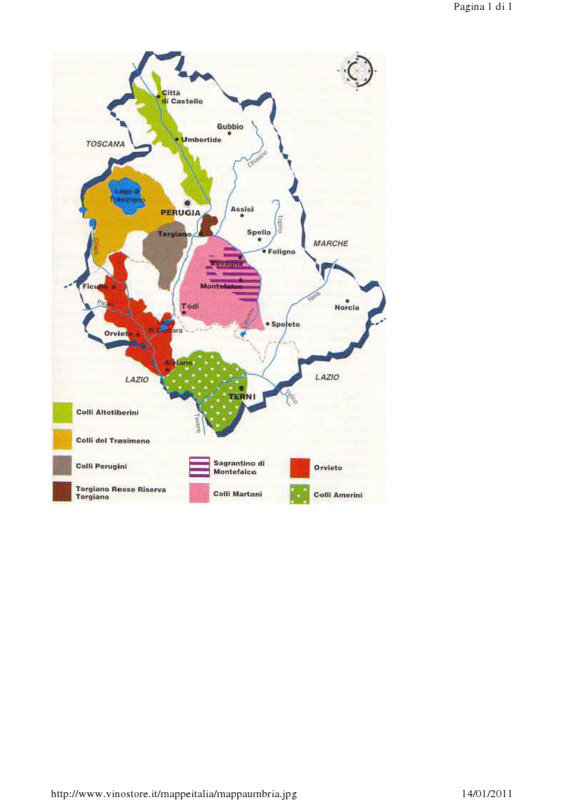 There are 20 regions and each one has some wonderful local specialties. 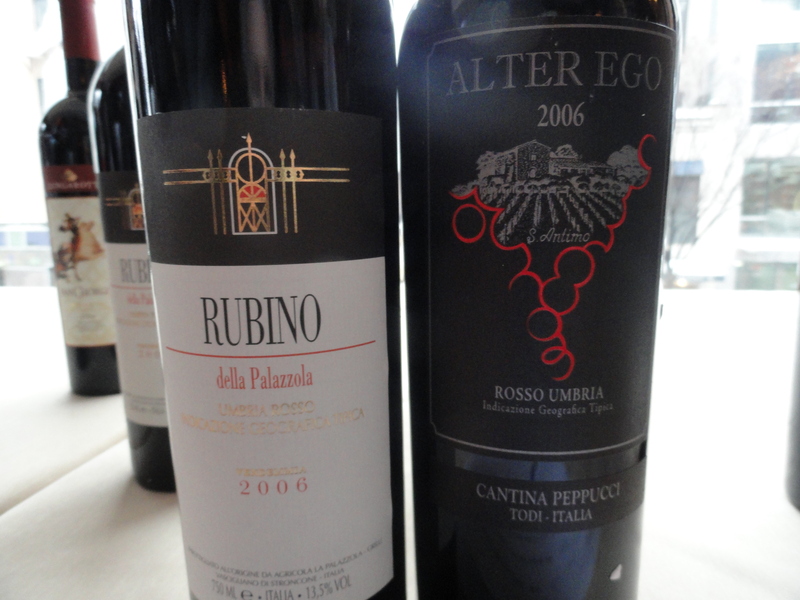 Umbria is one of those regions that produces a wide variety of excellent wines and it definitely should be better known. Your post is a step in the right direction, especially as it features such excellent producers as Lungarotti and Antonelli. Ciao Tom, thanks, Yes I agree all 20 regions are wonderful and special.